Do you feel it? The spirit of Woodstock is returning. The famous three-day music festival from 1969 is turning 50 this year and is being resurrected in Watkins Glen, New York, August 16-18. Fans of Lite 98.7 music may want to think about snagging tickets and booking a trip--and we don't mean the kind of trip many concert goers experienced in 1969. Just a good, old-fashioned road trip. 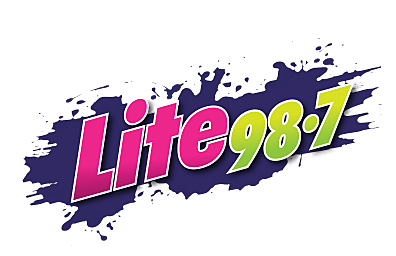 Many artists that you hear on Lite 98.7 on a regular basis will be playing at the festival. Portugal. The Man, Miley Cyrus, The Lumineers, Imagine Dragons and Michael Franti & Spearhead are just a few of the acts who will be there. Also, John Mayer will be part of Dead & Company, featuring original members of The Grateful Dead, like Bob Weir (pictured above with Mayer). For Woodstock 50, we are supporting causes that represent the issues of our times…but our call to action is timeless. Stand with us. Make a difference. Help heal the planet and the people living on it. That’s what Woodstock is all about. To view the entire lineup, buy tickets, and view information about the individual causes and organizations that are benefitting, head to the Woodstock 50 website.